OPENonline, an industry leading provider of employment background checks and investigative services, is pleased to announce their achievement in continued accreditation with the National Association of Professional Background Screeners (NAPBS) Background Screening Agency Accreditation Program (BSAAP). OPENonline will continue to be formally recognized as Background Screening Credentialing Council (BSCC) Accredited. The extension of the accreditation is proof we are succeeding in our commitment in operating OPENonline with exceptional compliance standards, industry best practices and customer service. OPENonline, an industry leading provider of employment background checks and investigative services, is pleased to announce their achievement in continued accreditation with the National Association of Professional Background Screeners (NAPBS) Background Screening Agency Accreditation Program (BSAAP). OPENonline will continue to be formally recognized as Background Screening Credentialing Council (BSCC) Accredited. This accreditation acknowledges the successful completion of the BSAAP Interim Surveillance Audit and is formal recognition of OPENonline’s commitment to industry-leading standards in data security, consumer protection, legal compliance, integrity and professionalism. Since its inception, NAPBS has maintained that there is a strong need for a singular, cohesive industry standard and, therefore, created the BSAAP. Governed by a strict professional standard of specified requirements and measurements, the BSAAP is becoming a widely recognized seal of achievement that brings national recognition to background screening organizations (also referred to as Consumer Reporting Agencies). This recognition will stand as the industry “seal,” representing a background screening organization’s commitment to establishing written policies, documented procedures and auditable business practices reflecting industry excellence, accountability, professional standards and continued institutional improvement. To become accredited, a Consumer Reporting Agency (CRA) must pass a rigorous onsite audit, conducted by an independent auditing firm, of its policies and procedures in critical areas such as consumer protection, legal compliance, researcher and data product standards, service standards, and overall business practices. On April 7 – 8, OPENonline attended the NAPBS 2014 Mid-Year Legislative and Regulatory Conference in Arlington, Virginia. Attendees heard from industry experts and government officials on issues affecting the background screening industry. Two notable speakers at the conference were Equal Employment Opportunity Commission (EEOC) Chair Jacqueline Berrien and Georgia Attorney General Sam Olens. Founded in 2003 as a not-for-profit trade association, the National Association of Professional Background Screeners (NAPBS) represents the interests of more than 600 member companies around the world that offer tenant, employment and background screening. NAPBS provides relevant programs and training aimed at empowering members to better serve clients and maintain standards of excellence in the background screening industry, and presents a unified voice in the development of national, state, and local regulations. For more information, visit http://www.napbs.com. OPENonline is accredited by the NAPBS Background Screening Credentialing Council and is the leading provider of background screening and investigative solutions. 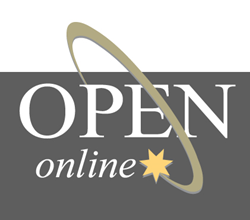 OPENonline is headquartered in Columbus, Ohio, and serves clients around the world. The company has offices throughout the United States, with primary administrative locations in Ohio, Oregon and California. OPENonline offers a broad range of employment screening, drug screening and employment eligibility verification services, including SelectHire®, a one stop solution for employment screening. The company is dedicated to helping customers save time and money by providing background information that is current, accurate and compliant with exceptional customer service. Each of OPENonline’s Safe Hiring Background Specialists are U.S. –based, FCRA certified and compliant with state and federal laws. For more information, visit http://www.OPENonline.com or call 1-888-381-5656.